Lyric's and music with sounds covering the realm of life's experiences,the gentle acoustic guitar in poignant songs of loss, contrasts with a rocking Telecaster or Mandolin bringing joyful sounds of love, life and laughter. Nadeau and Thomas first met in 1995 when Dave Thomas was recording and producing music in a local recording studio. Their first project included five songs, one of which was promptly signed and produced in Nashville. Their writing potential together became quickly apparent. Together, they have written hundreds of songs, many of which are fully produced and mastered. They continue to promote their songs to Nashville artists. As Nadeau and Thomas continue to work together, they expand their knowledge and expertise embracing the many new avenues of music recording that become available on a daily basis. Most of their work takes place at Stray Dog Music Productions, a recording studio located in Gig Harbor, Washington. 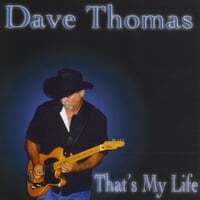 Dave Thomas is the owner as well as the engineer and producer. Dave has been playing and recording professionally for over thirty years. He is proficient on many instruments including acoustic and electric guitar, acoustic and electric bass, keyboards, mandolin and flute. When producing and recording their material they draw on additional musicians and vocalists as needed. From Nashville, Sonny Garrish (pedal steel player) is a favorite and from the greater Seattle/Tacoma area Jennifer Lind, Dan Tyac and Roger Fergusson are their choices. As well as being Dave’s co-writer, Luciann Gill Nadeau is in charge of marketing. Luciann takes care of all the web info CDBaby * Facebook pages * Myspace.com/nadeauandthomas etc. and has placed several songs in Nashville. NADEAU AND THOMAS WERE GIVEN AN HONORABLE MENTION BY MR. ROBERT K.OERMANN IN THE MUSIC ROW MAGAZINE FOR THEIR PATRIOTIC SONG "A NEW CRY FOR FREEDOM". Mr.0ermann, of Music Row Magazine also printed a positive critique for "I Just Called Him Son" in a recent issue of this number one Nashville industry magazine. DORI MONSON (WELL KNOWN SEATTLE RADIO HOST) OFFERED THE FOLLOWING CRITIQUE; "I listened to "A New Cry For Freedom" on Memorial Day-and it was a wonderful sound track for that holiday. I know it was inspired by the events of 9/11-but it is every bit as relevant today as it was then. It's a terrific song with a wonderful message."